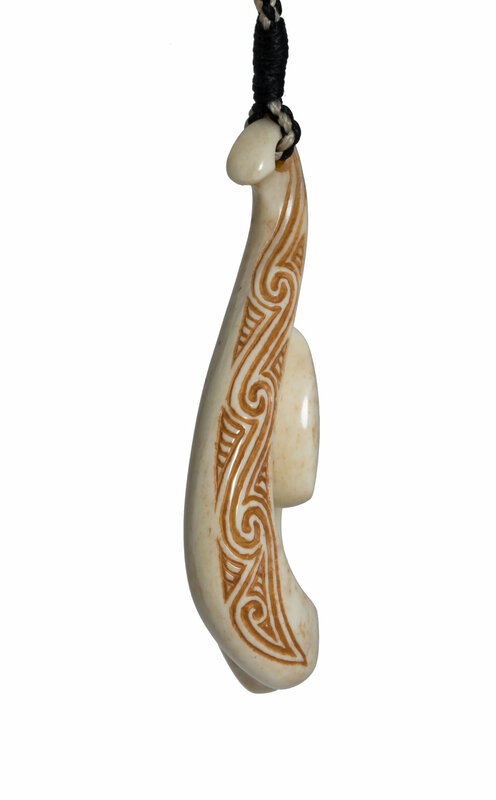 I love the curve of the bone in this carving. 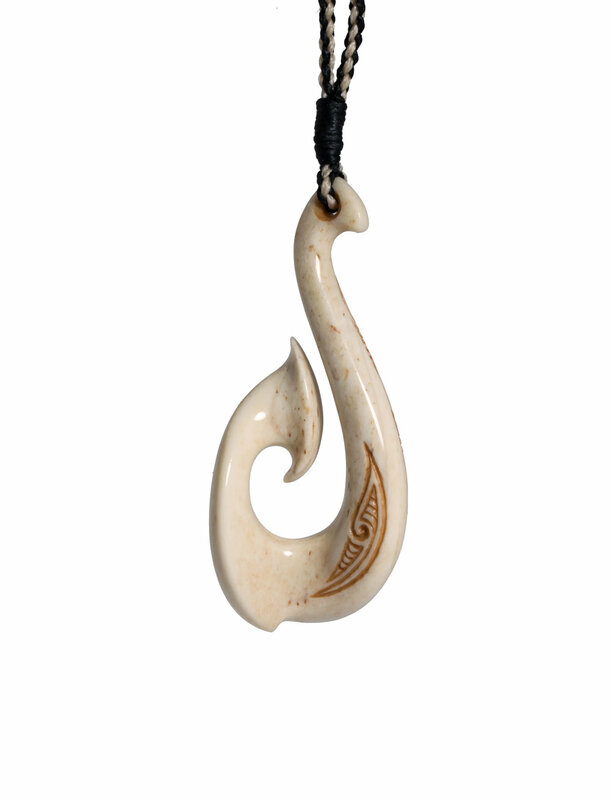 This Matau is called Whakamārie - Pacifying Peace. This name indicates that through entering correct spiritual paths, we will pacify our negative states of mind and increase our inner peace. The pattern running up the side of this carving is symbolic of the arising of our wisdom and understanding.